This is one of the earliest photograph of Ed Belfour as an NHL player. It predates his “Eagle” mask. 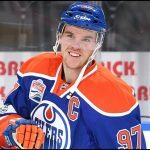 In fact, this photo is so old that he’s wearing number 1. Practically every photo you find of Belfour with the Blackhawks shows him wearing number 30, which was his number from 1990 to 1997. 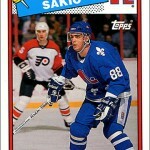 His 1990-91 Upper Deck rookie card (and 2003-04 Topps Lost Rookies card) shows Belfour wearing number 31. But Eddie the Eagle started his career wearing number 1 for six weeks — the same number that Glenn Hall donned for a decade. 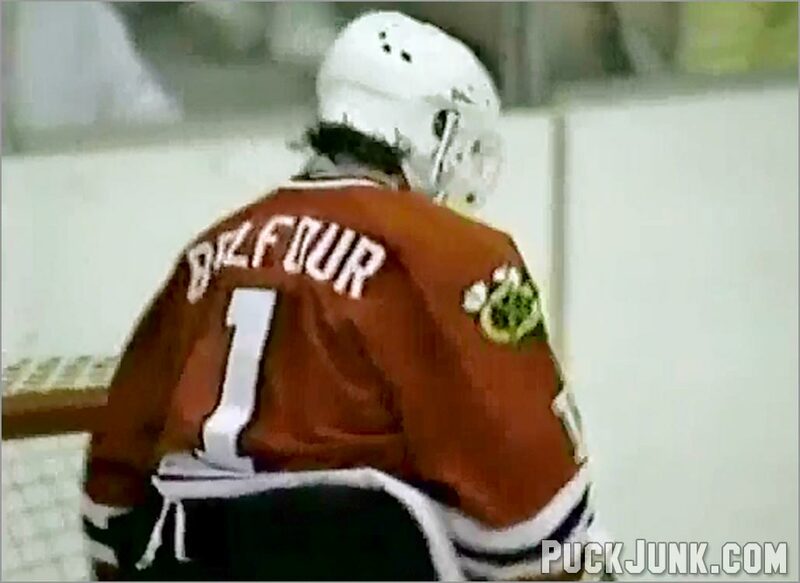 When Belfour broke into the NHL as Darren Pang’s backup in 1988, he was given 1 as his jersey number. This was not unusual. 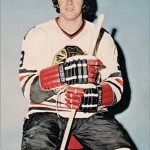 After Hall left the Blackhawks in 1967, numero uno was still regularly circulated by the team. The ‘Hawks retired Hall’s number 1, along with Tony Esposito’s number 35, on November 20, 1988. 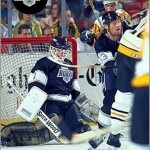 That prompted Belfour’s change to number 31, which he wore through the end of the 1988-89 season. 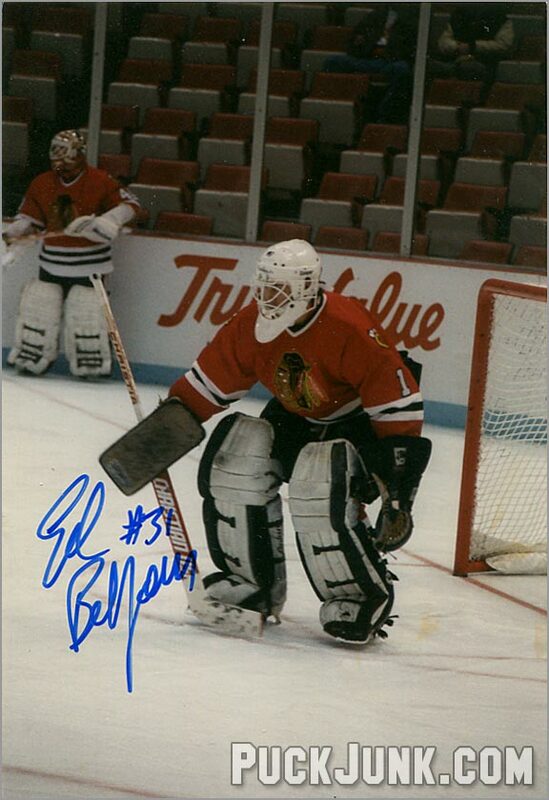 Also note the autograph on the photo, which reads Ed Belfour #31. The picture was autographed after he changed numbers — but not too much later. Belfour only played 23 games in the 1988-89 season, which is why he still had rookie eligibility in 1990-91. 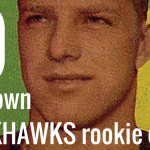 He was relegated to third string and/or the minors when the ‘Hawks acquired Alain Chevrier in January 1989. 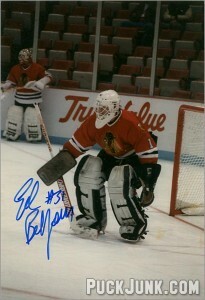 Belfour spent the 1989-90 season away from the Blackhawks, playing for the Canadian National Team. 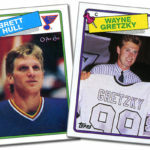 When he re-joined the team for the 1990 playoffs, he was then wearing number 30. The photo was taken during warmups on September 27, 1988 in Kalamazoo, Michigan. 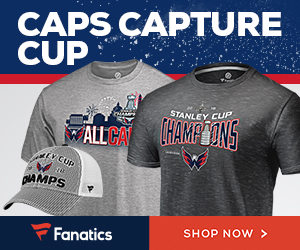 Darren Pang, who was the Blackhawks’ number one goalie at the time, is in the background. So the photo was autographed after late November 1988, but before the end of the 1988-89 season. Had it been signed later, Belfour would have inscribed #30 on it, as he was conscientious of what number he was wearing at the time. As a child, I met Belfour in 1990 and got some of his rookie cards autographed; he inscribed #30 on all of them, regardless of the number he was wearing on the card. I purchased this photo from a dealer who sells hockey memorabilia at card shows around Chicago. A friend of his took this photo in Kalamazoo, Michigan on September 27, 1988, when the Blackhawks played an exhibition game against the Minnesota North Stars. At the time, the North Stars were affiliated with the Kalamazoo Wings of the old International Hockey League. yes, what you have unearthed here certainly can be classified as a “gem,” sal. thanks for this. listening to you talk about chicago’s early-90s ‘goalie-go-round’ also serves to remind me how the hawks had hasek and belfour at the same time. thanks for this reminder — it makes me wonder what riches i have today that i’m not recognizing. 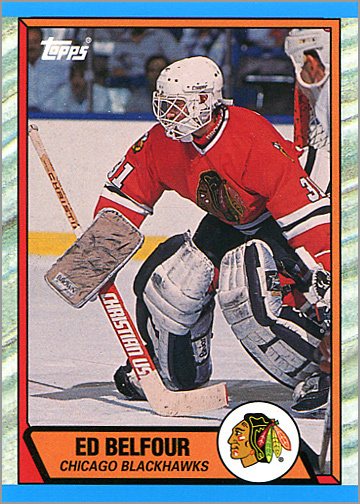 Are you fans upset that he number 1 other great Black Hawk goalies wore the number 1 other than the “Eagle or Hall” How about Gary Smith, or Denis Dejordy or for a brief time Gerry Dejardins (Spelling might be wrong). Any way they never retired any of those players numbers. There’s a Belfour signing coming up in Toronto. Originally I wanted to get a rookie year jersey made with the number 31 on it but now I’m not sure. 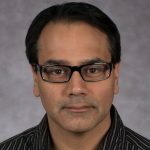 What do you think is more appropriate? Honestly? 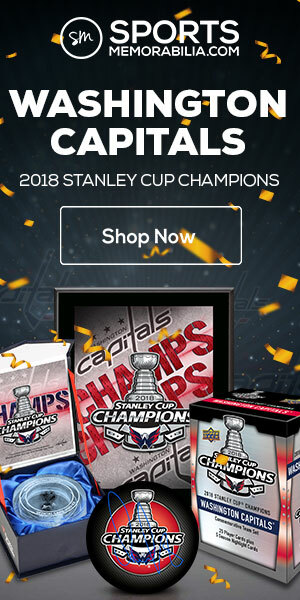 I’d get a jersey with #30 signed. He only wore #1 and #31 for a combined total of 23 games. So, neither was really “his” number. (And #1 will always be associated with Glenn Hall.) I think you should get a #30 signed, because that was the number that Belfour made famous in Chicago.